Turn your iPad 4 / iphone5 / ipod touch 5 into a mobile television! Use this App with Air DTV device to enjoy live broadcast anywhere you go! 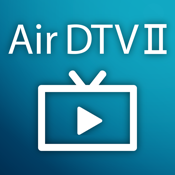 This App requires an Air DTV device. Air DTV device connects directly to the dock connector and receives the television signal from a miniature telescopic aerial. It does not require an internet connection and gives you unlimited TV without touching your data plan. * Air DTV supports MPEG-2 and MPEG-4/H.264 standard definition video and DVBT radio where broadcast. MPEG-2 HD and MPEG-4/H.264 HD television channels are not supported.